Red battery warning got you down? Good battery life is essential for a mobile device to succeed in the post-PC era, and Apple’s iOS devices continue to pack upgraded internals and improved battery technology into every product iteration. iPhone, iPad and iPod touch users can use a handful of tips and tricks for conserving precious battery on the go. Many of the tips are pretty basic, but every little bit counts when you’re trying to make it through the day on one charge. The general consensus is that you should keep your screen brightness under 30% for optimal battery performance. 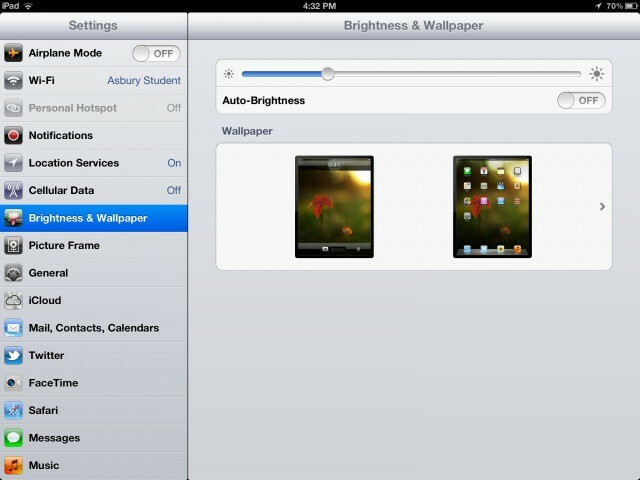 Depending on your situation and whether you’re using your iPad indoors or not, screen brightness can be adjusted accordingly. You can turn it up or down in the General section of the Settings app. 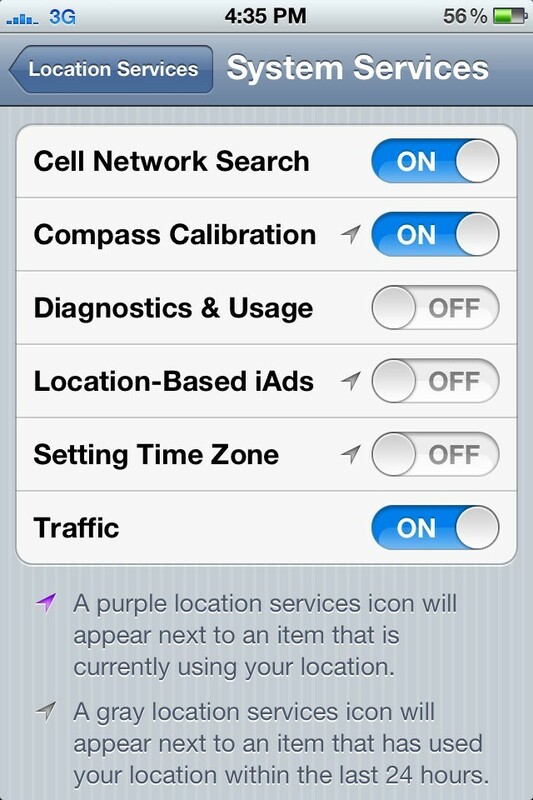 Location Services lets your apps access your device’s GPS to provide location-aware results and ads. Because you’re calling on your internet connection and GPS, your battery can drain faster. 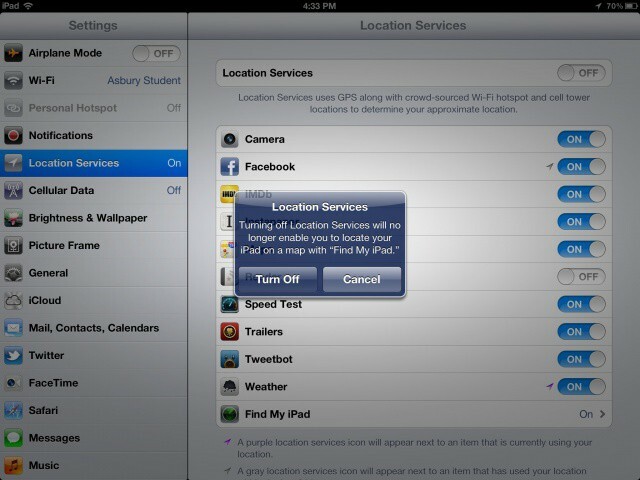 If you need spare life, turn it all off under Location Services in Settings. 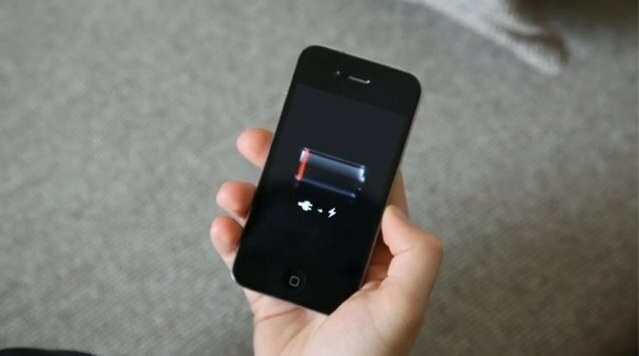 This nifty trick was discovered when iPhone 4S were initially experiencing battery life issues. Visit Location Services and scroll down to System Services. From here you’ll have a list of services to toggle. Anything with a little compass arrow uses your location. 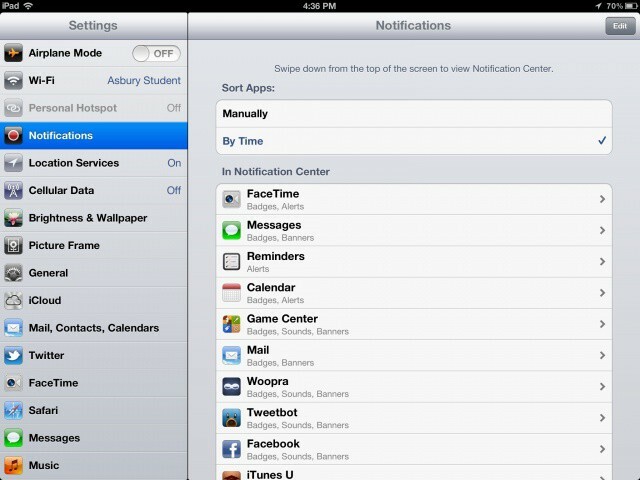 Turn off services like Setting Time Zone and Location-Based iAds to conserve battery life. You won’t notice a change in how your iPhone works. Turn WiFi off in Settings to save battery. For those of you that struggle with basic logic, turning this off means you won’t be able to use the internet unless you have a 4G/3G-equipped device. Bluetooth will also use your battery. Turn it off under the General section of the Settings app. iOS can automatically fetch you new email at a pre-set time interval. Set it to manually refresh every time you open the Mail app and save battery life. 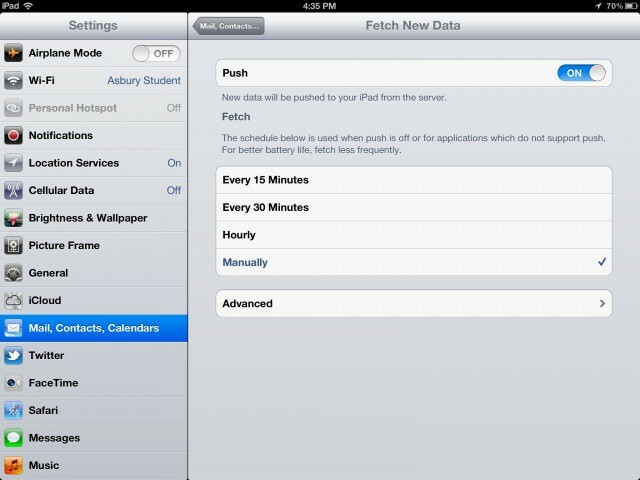 You can find the option under the Mail, Contacts, Calendars section of Settings. Many push notifications require an internet connection to work, and that’s no good if you’re low on battery life. Turn this off manually for certain apps as a last resort in Settings. Apps that run in the background can hog system resources occasionally, so close the last few apps that are displayed in the app switcher. Double tap your Home button and tap and hold on an app icon to initiate jiggle mode. 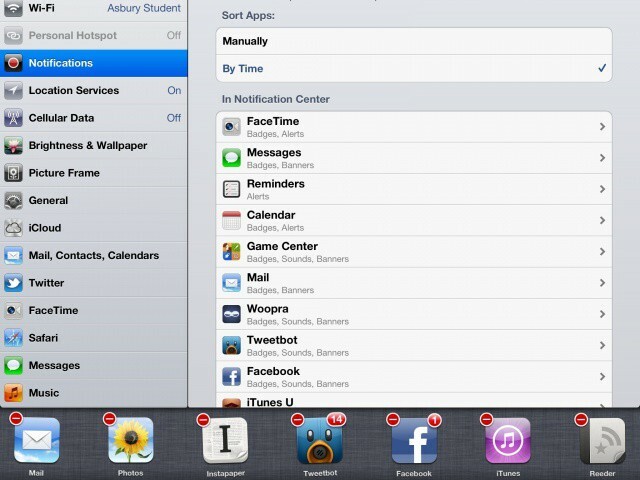 Tap the red “X” to completely kill apps running in the background. Believe it or not, vibration alerts can use up battery life more than anything else, especially if you get a lot of push notifications. They’re nice to have, but if you don’t mind turning them off, you’ll probably notice an improvement in battery life. 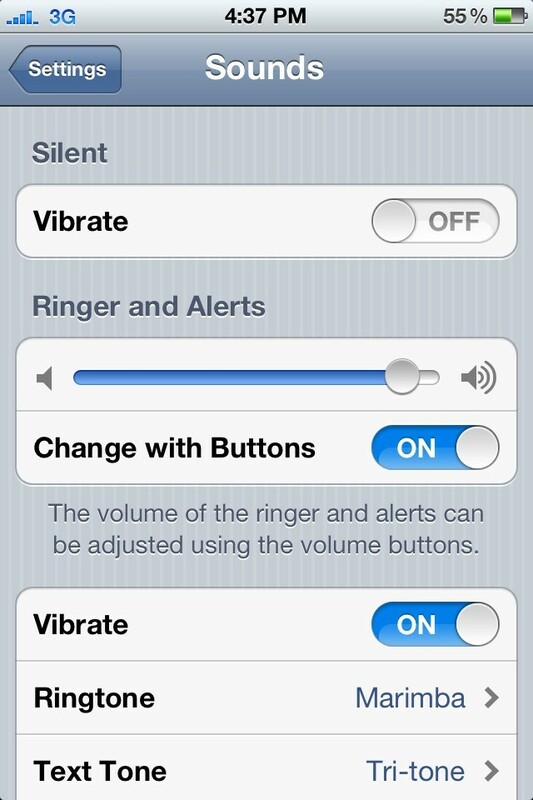 The option can be found under Sounds in the Settings app. An iOS device will automatically lock itself after a few minutes by default, but make sure you have it set to the shortest amount of time to save screen time. 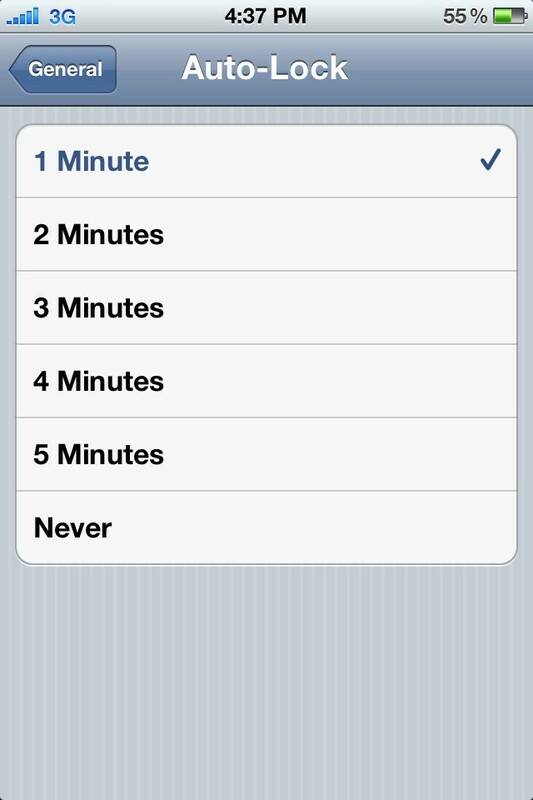 On the iPhone you can set it to 1 minute while the iPad can automatically lock itself after 2 minutes. Siri on the iPhone 4S is great, but consider turning off the Raise To Speak feature if you want to maximize battery performance. In case you didn’t know, Raise To Speak lets you hold your iPhone 4S to your face and talk to Siri like you would during a phone call. 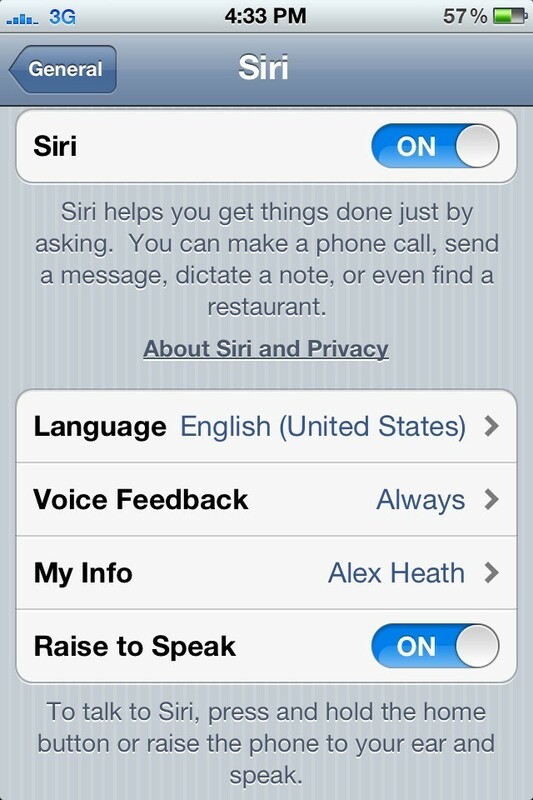 Turn it off under the Siri section of Settings if you never use the feature. You always have the ability to completely turn off all radios in your iOS device with Airplane Mode. Your device will last for a very long time in Airplane Mode, but you won’t be able to use features like cellular data/voice, and Bluetooth. 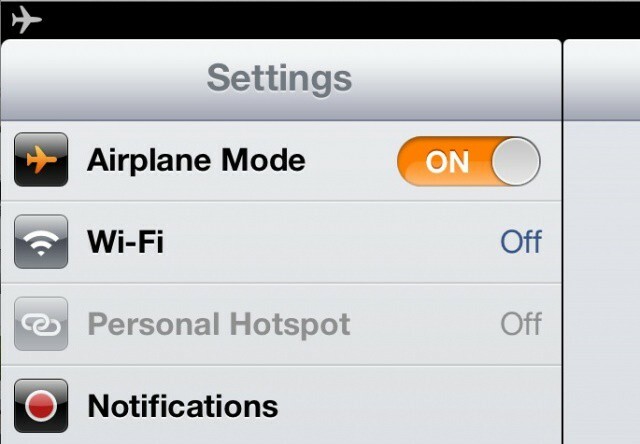 You can actually turn WiFi back on after entering Airplane Mode if you still need to surf the web. Got any more battery life tips? Share them with us in the comments!